If you're currently apartment hunting, you're not alone. Over 36% of Americans rent their homes, and in these summer months, that means a good portion of renters are closing out old leases and moving to new places. Whether you're a new renter, or you've signed a few leases in your day, the whole process of apartment hunting can be overwhelming. There are so many options to sift through, scams to avoid, and factors to consider when figuring out how to find an apartment. I've moved around a lot, and in early adulthood would never live at one apartment for more than 12 months. Armed with the knowledge of what not to do, I'm sharing tips that will hopefully make the apartment hunting process go a little more smoothly for you. If you have ever leased a home, you know the struggles that can plague a rental bathroom. Unless it's a brand new building, the restroom is likely going to have a unique set of unfortunate details. I've been a renter for all of my adult life. I've seen my fair share of bizarre bathroom situations - from lime green walls to landline phone accessibility next to the tub (true story). My current apartment bathroom has it's own flaws that over time I've either figured out how to disguise or how to live with. 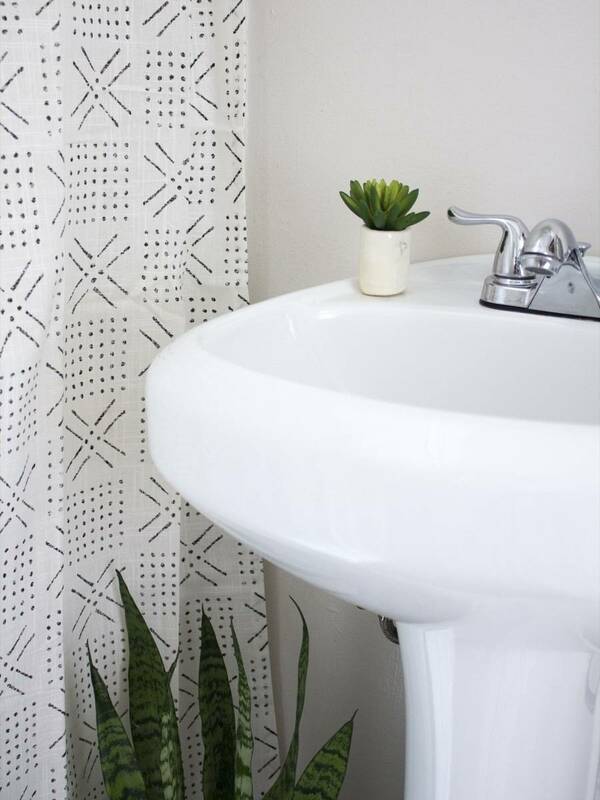 Here's my advice on how to deal with an unsightly apartment bathroom, from one renter to another. Studio Apartment Woes: Create a Bedroom Out of Thin Air! What's more shocking to me, other than the fact that this studio apartment was transformed into a one bedroom, is how much bigger it looks after! It's magic, I tell you. Magic (and lots of hard work). Those are big words, I realize, but this really may be the brightest, happiest, most perfectly colorful space I've ever laid eyes on. Don't believe me? Read on! What? "Thriftastic" is totally a word. And really, it's the best word to describe this cheerful, all-in-one home office/crafting station.